Self defense and martial arts are two different things. A short course on the basics of self defense is absolutely vital for people of all walks of life. Learn more then contact us below or call 206-789-2411 anytime. If you were a regular member from the very first day at MKG Martial Arts you will be improving your ability to defend yourself. However, some people and organizations have a pressing self-defense need and we offer occasional workshops, seminars and classes in self defense. Our state of the art self defense techniques combine with awareness and avoidance drills to form the base of these classes. Most workshops are focused on self defense for women but we happily conduct specialty courses that include men, for college or high school students and we are proudly supportive of our LGBTQIA friends and community. Learn more or get details on the next scheduled workshop below. 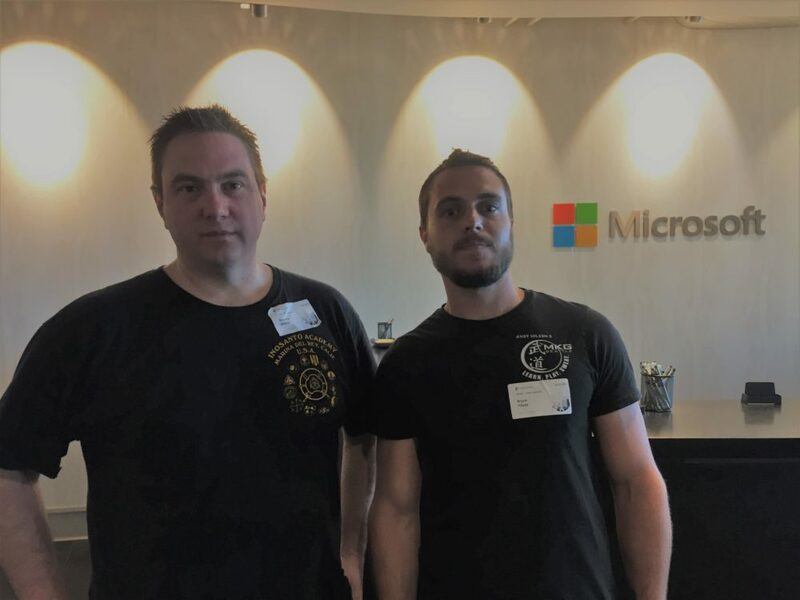 On-site and off-site specialty courses are offered to businesses, church groups, security professionals, probation officers, health care workers, apartment buildings and a wide variety of groups have brought us to their venue to teach self defense. Classes have been held for as short as 45 minutes and as long as 2 days. Our clients include Microsoft, Facebook, Nordstroms, and others. 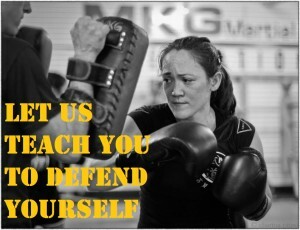 MKG Seattle’s Women's Self Defense Program strives to develop the ability for women and girls to gain the knowledge and skills necessary to A) Keep themselves out of harm’s way and B) Defend themselves during a violent encounter. The primary focus of the workshop is to develop a woman’s ability to detect potential danger and avoid it. The secondary focus is embedding the physical skills needed to survive a physical attack. The MKG method employs techniques that are easy to perform under stress, are not pain or repetition based and have a proven track record. FREE 1 & 1/2 Hour Intro to Self Defense at MKG Seattle. (15 minimum) We do these as community service when requested and when our instructors and/or facility is available. Just inquire! Custom Course addressing topics you’re interested in and that we’re qualified to teach. This KOMO 4 news story features footage of our self defense course as well as an interview with one of our students who successfully defended herself against a carjacking/abduction attempt. Be sure to request information and we'll let you know as our next workshops are scheduled. We do not offer seminars on a fixed schedule so it is important to request a workshop or ask to be put on the mailing list. This can be done by using the form below, calling 206-641-9854 or emailing us at info@mkgmartialarts.com. Next self defense workshop is coming up soon! Need More Help Or Would Like To Receive Alerts About Upcoming Opportunities? Just enter your information below. We'll contact you just as soon as we can. We hate SPAM as much as you and will strive to keep contact to a reasonable level.